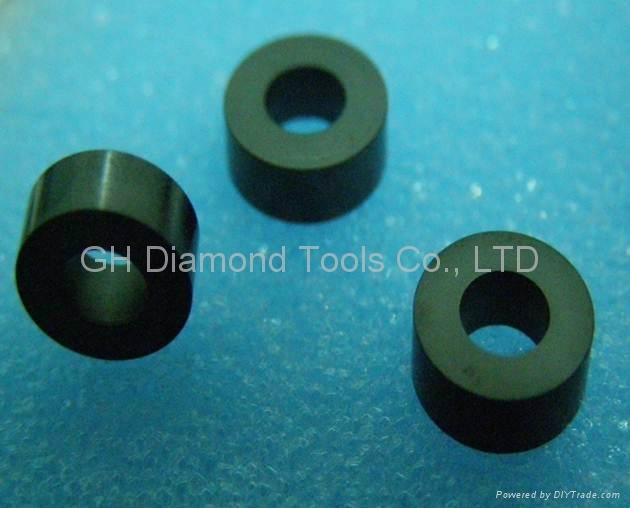 The PCD diamond nozzle is used for water jet cutting, dry spraying, cleaning, homogenizing and painting, sand-blasting, automotive industry and etc. PCD is the working part of nozzle and is synthesized through sinter of synthetic diamond powder under the condition of ultrahigh pressure and high temperature (60,000 atmospheric pressure, 1400°C-1500°C). The metal or plastic wrap will not only make a more accurate external size but also protect PCD core.